It was a boring weekend morning. 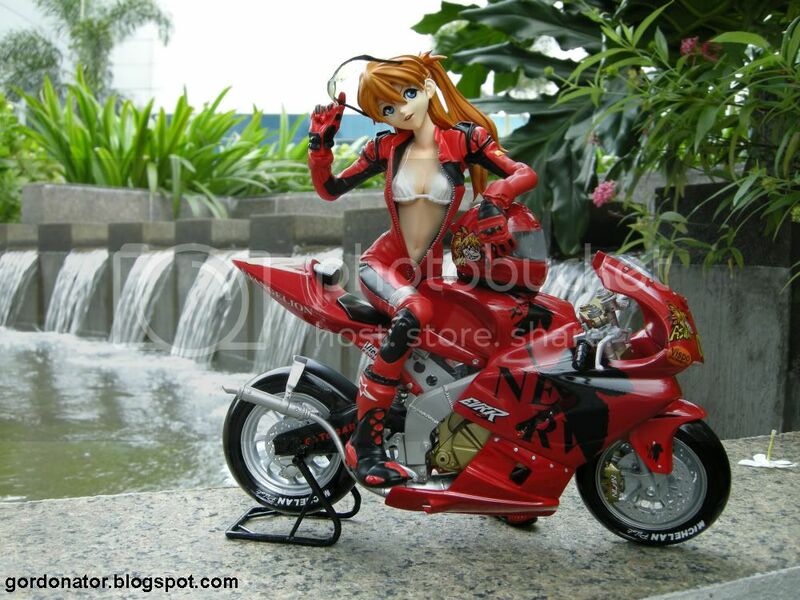 Asuka was getting restless so she decided to go for a spin on her bike. Singapore may be small but there are actually quite a few exotic places like this lagoon Asuka found on her outing. 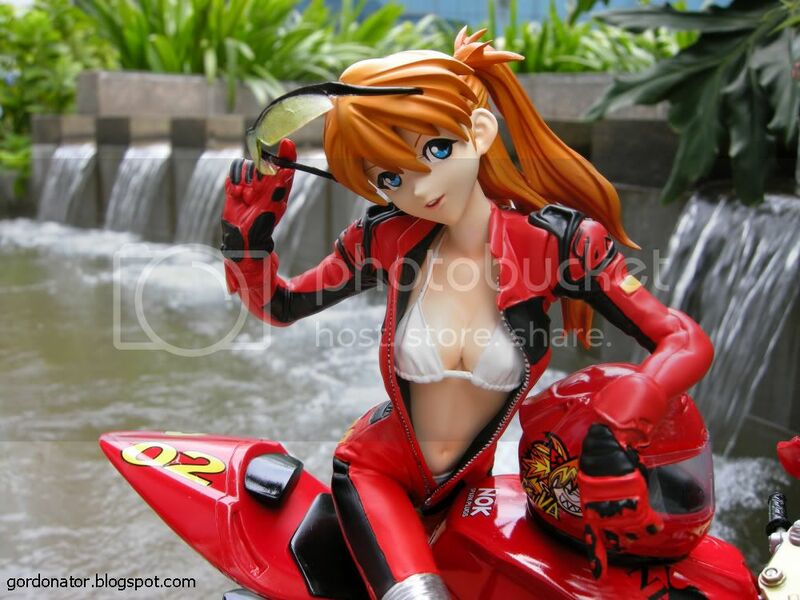 After a brief swim, Asuka received a call on her mobile phone. It was her manager reminding her that she has a photo shoot later in the afternoon. Asuka sighed. Life’s tough juggling fighting giant Angels and her modelling career. With one last look at the clear blue sky, Asuka suited up and zoomed off into the distance. Heyy Gordon what’s going on? Of course I remember you. Whenever I have time I could redo your mascot, that one I did was just a quick sketch ^^ Great pictures, and great figure. Not sure if I’m suited to say this, but welcome to the blogging world!